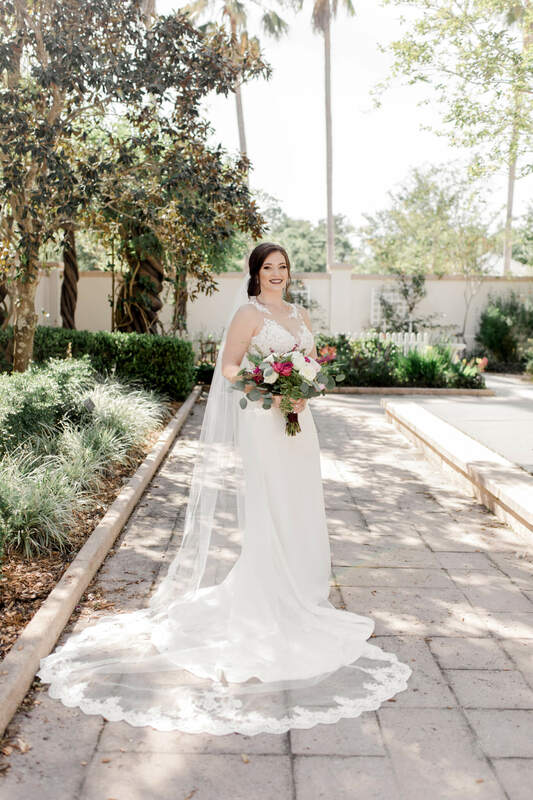 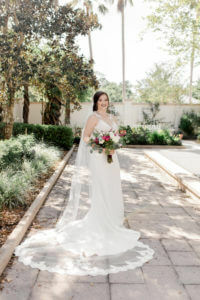 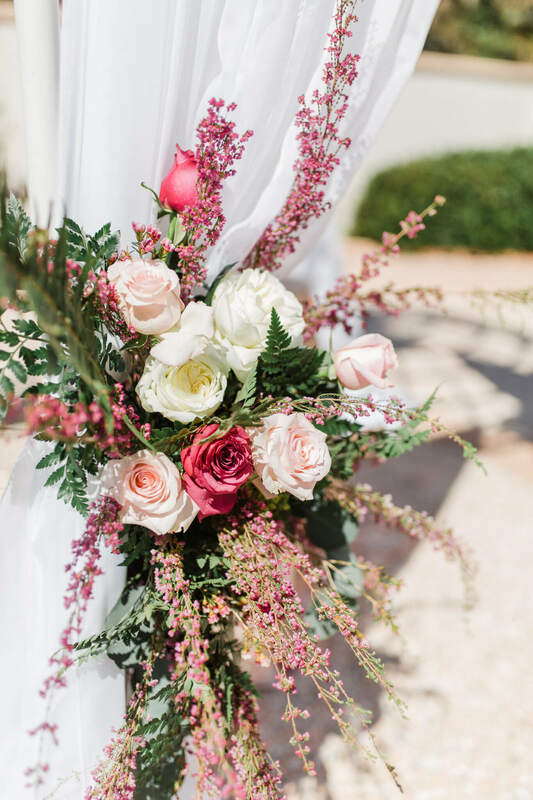 Special Moments Event Planning works with Pinellas County wedding venues and was thrilled to be part of the wedding of Nicole and Mike at the breathtaking Largo Botanical Gardens. 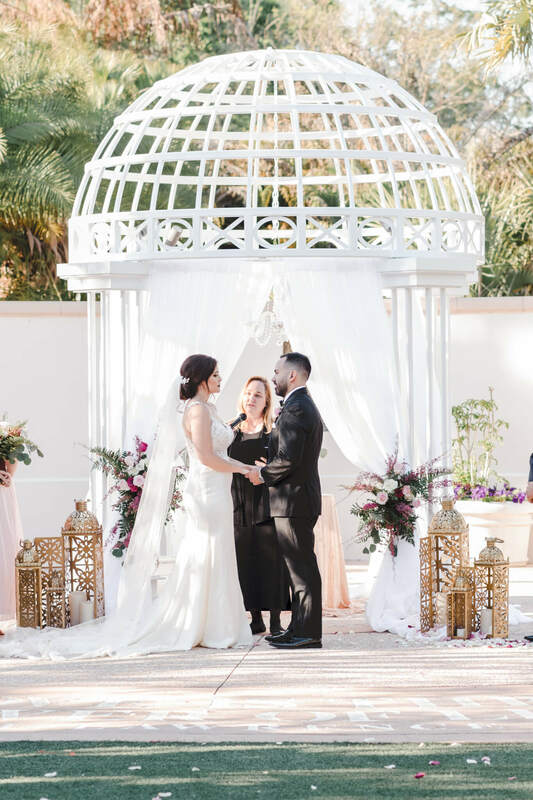 We worked with them to orchestrate their beautiful outdoor wedding ceremony in the botanical garden’s walled Wedding Garden. We collaborated on a number of pieces of their wedding décor in conjunction with their florist. 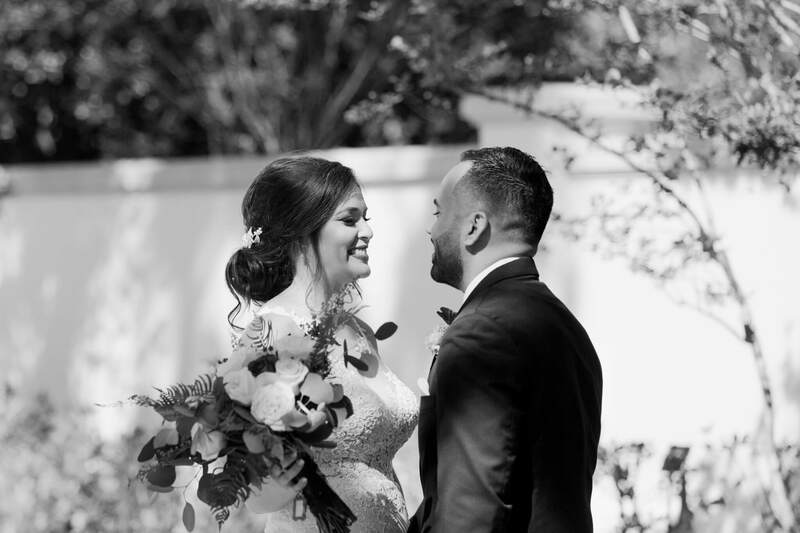 We met the couple once in person at our office and had an instant connection. 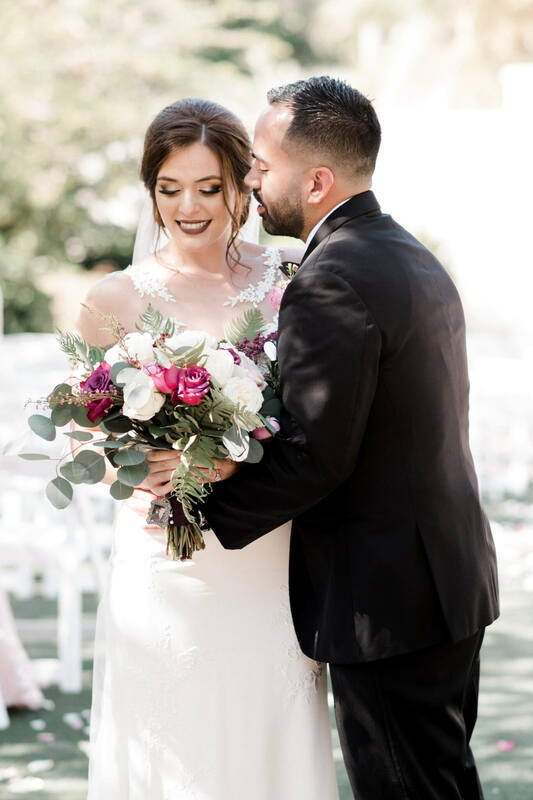 We came up with a game plan for their wedding and all of the pieces fell into place. 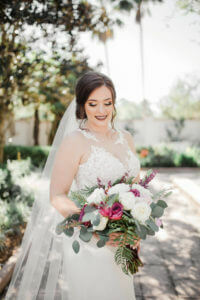 Beyond coordination of all of the details and paperwork for their wedding at the Largo Botanical Gardens, we took Nicole’s vision from Pinterest images and brought it to life. The walled Wedding Garden with its beautiful white wedding gazebo was the perfect backdrop for some simple design elements. 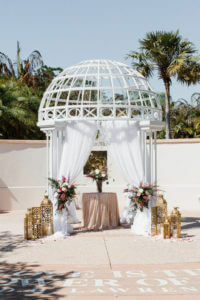 The gazebo was draped with soft, flowing white fabric to frame the couple as they exchanged their vows. 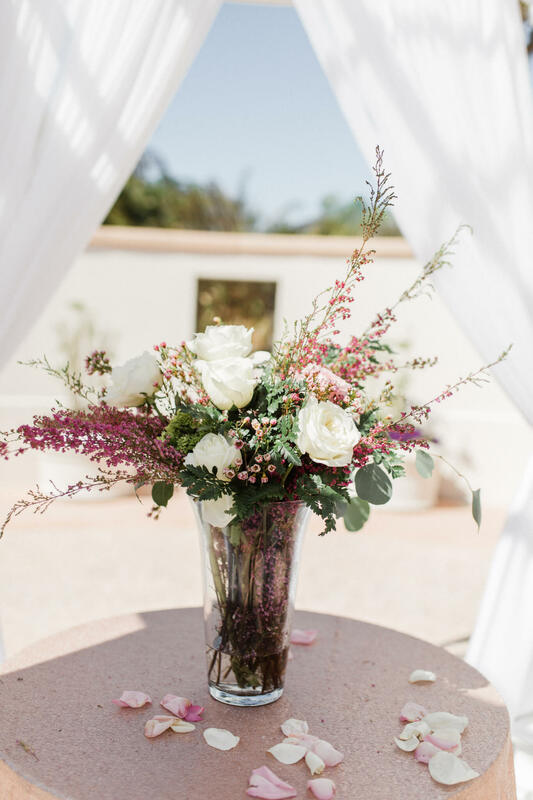 In addition to the draping, the gazebo was accented with clusters of off-white, blush and dusty rose roses against a backdrop of greenery. 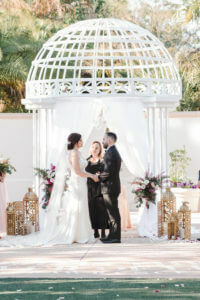 The hanging crystal chandelier, a table draped with a shimmering tablecloth, and a lush centerpiece completed the ceremony space. 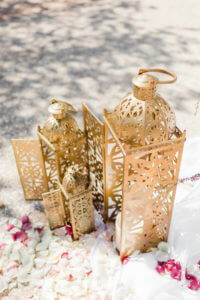 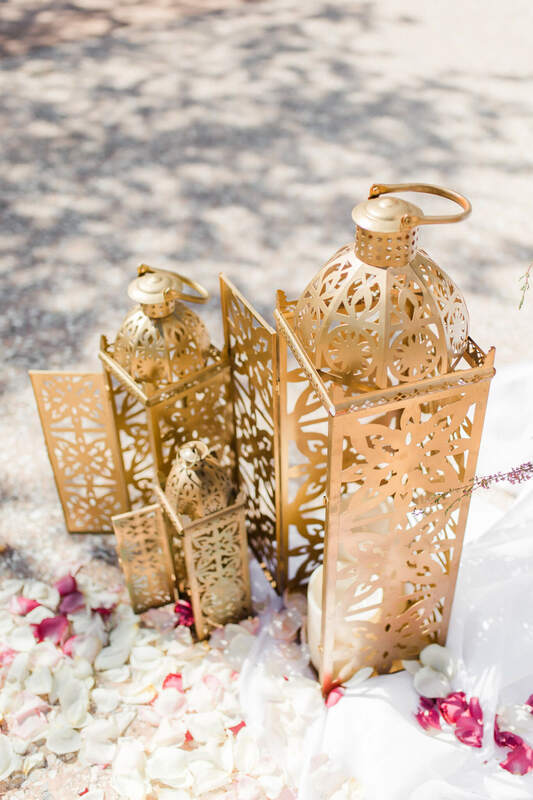 Gold metal lanterns and soft rose petals elongated the space to draw in the wedding party. Congratulations Nicole and Mike! We loved being invited to work with you on this beautiful wedding.